Become a UNE Member TODAY! During the last three years, UNE Colorado began to investigate the organization and found that people power is the missing key which is needed to succeed in our mission. We started to engage the community in ways we hadn’t done before — not only did we knock on doors and ask people to get involved but also started asking them what they wanted rather than assuming the kind of change they wanted. This spurred us to change our organizational model to put community members at the helm. Currently, in Colorado we have what seems to be a booming economy. We see our skyline decorated with cranes that indicate growth and ever increasing population. However for many of our neighbors, those cranes indicate ever rising rents, getting pushed out of their homes/communities and wages that haven’t kept up with the cost of living. We see our neighbors getting deported, police brutality and community members harassed. 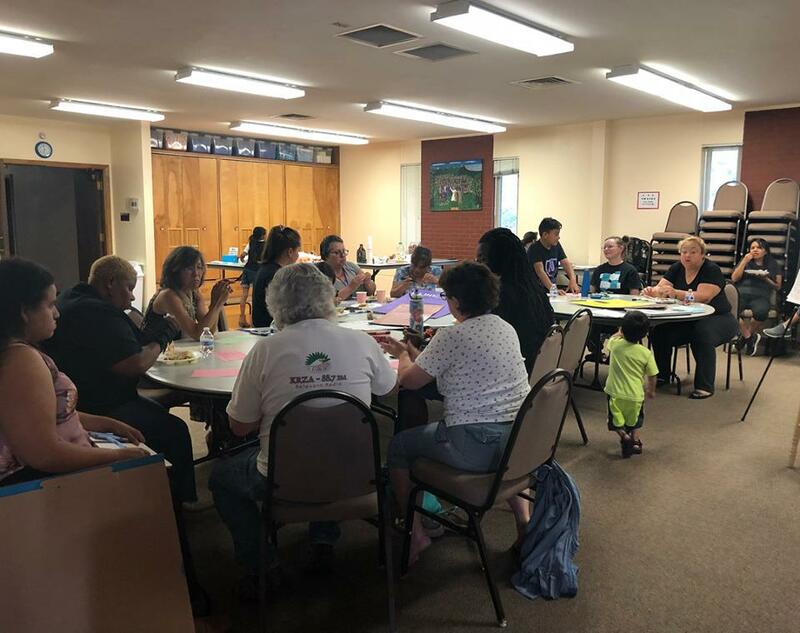 We see our neighbors still envisioning strong, vibrant and thriving communities — committing to late night organizing meetings to fight for their vision. We see our neighbors sharing their stories and holding big corporations, elected officials and decision makers accountable. Our movement needs to focus more on organizing and developing leaders to build grassroots people power we need to build a new economy that works for everyone. We need to be truly United for a New Economy — UNE.